Download FTS Mod PES 2018 v2 by Dava - A game First Touch Soccer newest Android Mod for you. 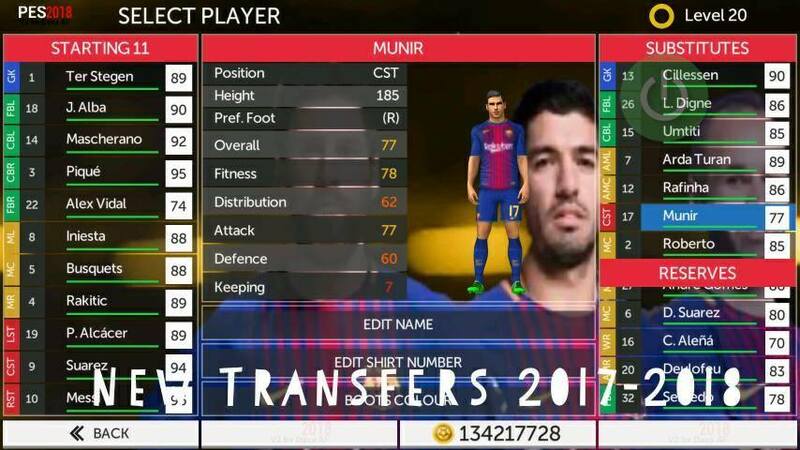 This time there FTS Mod PES 2018 v2 by Dava. By apk + data size reaches 270 Mb. Many new features available in this game. For those who want to try to play, instantly download the files now !!. For Android: v4.0 – v4.0.4 Ice Cream Sandwich, v4.1 – v4.3.1 Jelly Bean, v4.4 – v4.4.4 KitKat, v5.0 – v5.0.2 Lollipop, v6.0 Marshmallow, v7.0 - 7.2 Nougat and UP.